In order to improve their understanding of non-fiction texts, students need strategies they can use to interact with the and unpack the meaning of the text. Not only is it important for them to be able to do this in a teacher-lead environment, they also need to be able to implement the strategy on their own, whether they’re trying to comprehend a magazine or newspaper article or at home, or taking a reading test. 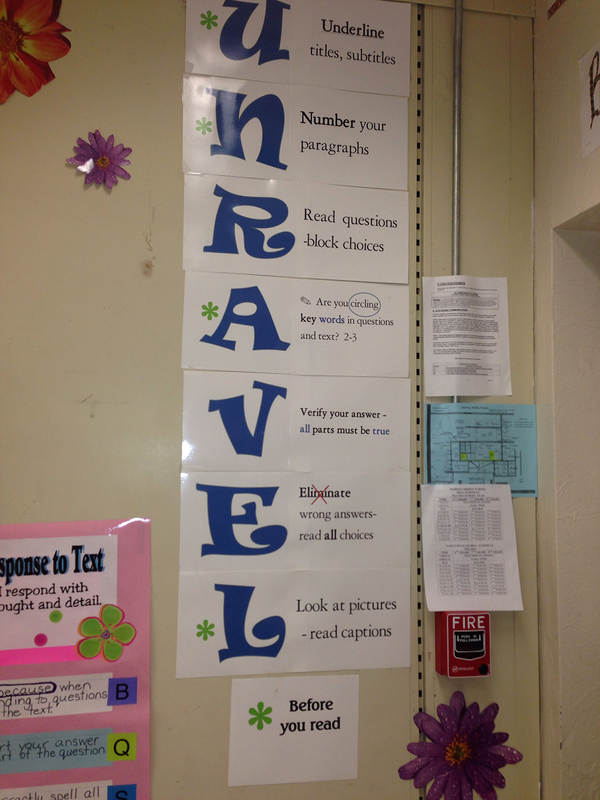 Fast forward to my previous school, which encouraged teachers to use the UNRAVEL reading strategy to help our struggling readers. Not only are the reading strategies essentially the same as PQRST, but the mnemonic device is much more relevant. 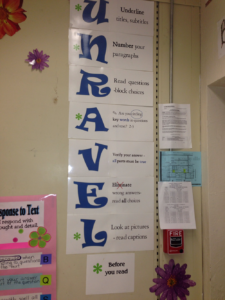 Students truly use this strategy to unravel the text. Are the important WORDS in the questions circled? Ideally, each student will have a printed copy of the text that they can interact with using a highlighter and/or pencil. Naturally, the trick is to encourage the students to repeat this process often enough that UNRAVEL becomes second nature. While I believe that reading fiction is vital to the mental and emotional development of our youth, I also know that students must be able to process non-fiction texts, particularly as they use those texts as reference material for argumentative and informative essays.